Have you noticed that hulking, huge, vacant, massive, old, other adjective warehouse that backs against the Metra tracks, I90, and Diversey? 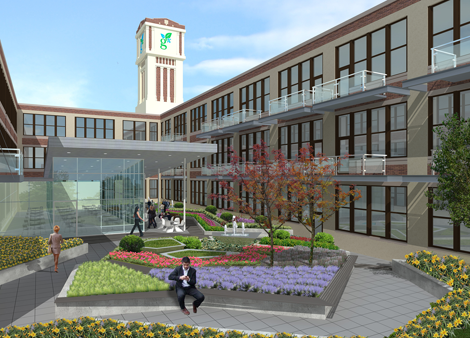 Well that’s the Green Exchange, located at 2545 W. Diversey Pkwy. Originally planned as loft condos, the neighborhood had major issues with the plans so the development was halted. Does anyone know why there was an issue with an old delapidated lamp factory being turned into nice, new condos? Now being advertised as the nation’s biggest showcase for environmentally friendly businesses, it’s been quite the elephant in the room for the neighborhood because the Green Exchange is three years behind schedule. The developers are currently in talks to land a major lease with Coyote Logistics LLC which will take 18-31% of the 227,450 square feet of available space making the building over 70% leased. Some would say Coyote Logistics isn’t much of a green buiness but Coyote is a trucking company that works to minimize the number of trucks traveling empty, which in turn reduces energy consumption and emissions. Check out the full Crain’s Chicago Business article AND video HERE! River North’s Staybridge Suites in another legal battle as foreclosure looms. Take a look at Crain’s Chicago Business’ article about our poor Staybridge Suites hotel that has sat as an empty 16 story shell for nearly two years. Wow, time flies. 127 W. Huron. Photo from CoStar Group Inc.
(Crain’s) — Chicago developer Duke Miglin and an Irish group he recruited to invest in his stalled River North hotel project are striking back at the lender trying to foreclose on the property, now just a 16-story concrete shell draped in canvas. Mr. Miglin and his prospective partner allege that the lender, CapitalSource Finance LLC, reneged on an agreement to recapitalize and restart the planned Staybridge Suites hotel at 127 W. Huron St., which has been idle for nearly two years. A venture financed by the Irish investors filed a federal lawsuit earlier this month to force CapitalSource to return a $1-million deposit from the venture that would have gone toward the aborted recapitalization. It is the latest salvo in the dispute over the failed 216-room hotel development, which was launched at the peak of the hotel boom but is now just another symbol of the bust. CapitalSource, which provided a $43.1-million construction loan for the project, filed a foreclosure suit in October 2008 alleging that a venture led by Mr. Miglin failed to put up an additional $5.9 million to finance the hotel as required under the loan agreement…. Click HERE to look at the full Crain’s Chicago Business article. 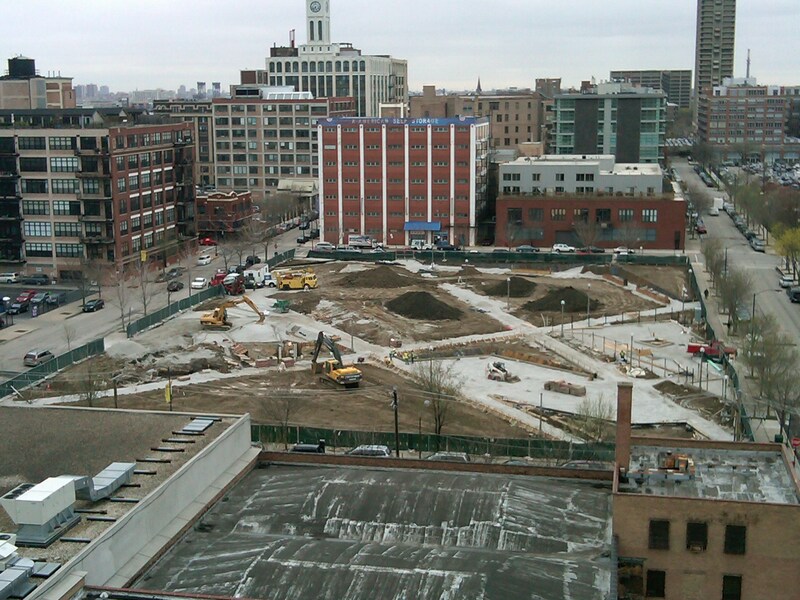 Ritz-Carlton Residences on Michigan Avenue moving forward! Positive news for sure. (Crain’s) — A Kuwaiti bank that has invested in the Ritz-Carlton Residences, a 40-story condominium tower under construction on Michigan Avenue, said Sunday that the project is worth $242 million. Kuwait Finance House said in a release that it has a 95% stake in the project while Chicago-based Prism Development Co. owns the remaining 5% of the development at 664 N. Michigan Ave. The investment is a pricey bet that the market for new luxury condos will rebound strongly by 2011, when the project is scheduled to be completed. The $242 million refers to the gross sales proceeds from the 88 condo units, says Bruce R. Schultz, a principal with Prism. He estimates the cost of the project at $200 million. The development has a $137.5-million construction loan from the German financial institution known as Helaba. Of the remaining capital in the deal, Kuwait Finance has put up 95%, which would be about $59 million. That includes a $40-million preferred-equity investment when the sale of the site closed last year. After KFH and Prism each recoup their equity investments, they will split the projects’ profits 50-50, Mr. Schultz says. The project is about 40% sold, roughly unchanged in more than two years. But in a hopeful sign, two contracts have been signed in the past 30 days, Mr. Schultz says. The development is slated to be completed at the end of 2011, with the foundation to be complete by March 1. “We’re moving forward,” Mr. Schultz says, adding that the project is “very fortunate” to have KFH and Helaba on board. Despite the current slowdown in sales, the project could benefit next year from a pent-up demand for high-end condos, says Gail Spreen, president of residential brokerage Streeterville Properties. Also, Ritz-Carlton Residences will face less competition than it might have because of cancelled projects, she says…. 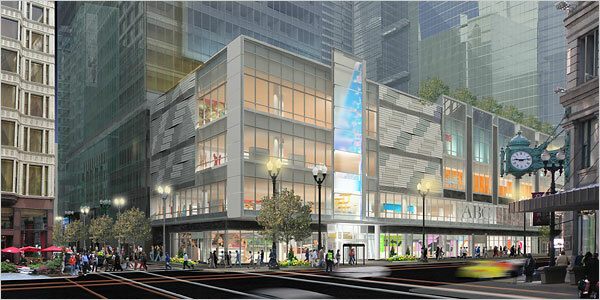 North/Clybourn Apple Store to be much like the Scottsdale, Arizona Apple Store. So word on the street is that the new Apple Store, located at North Avenue and Halsted Street, will look exactly like Apple’s Scottsdale, Arizona store. After I heard this, I immediately Google’d to find the image and sure enough, it looks like it’s true. You can already tell from the steel frame of Chicago’s Apple Store that, when finished, they will be the same. Take a look. If you’ve walked or driven by the new Apple Store, you’ll definitely notice a resemblence. Too bad I don’t have a picture from here. Block 37 stores to open by Thanksgiving. Good news for Chicago’s State Street! Joseph Freed and Associates LLC said it signed leases for 13 new tenants at Block 37, the embattled retail development that has been threatened with foreclosure. 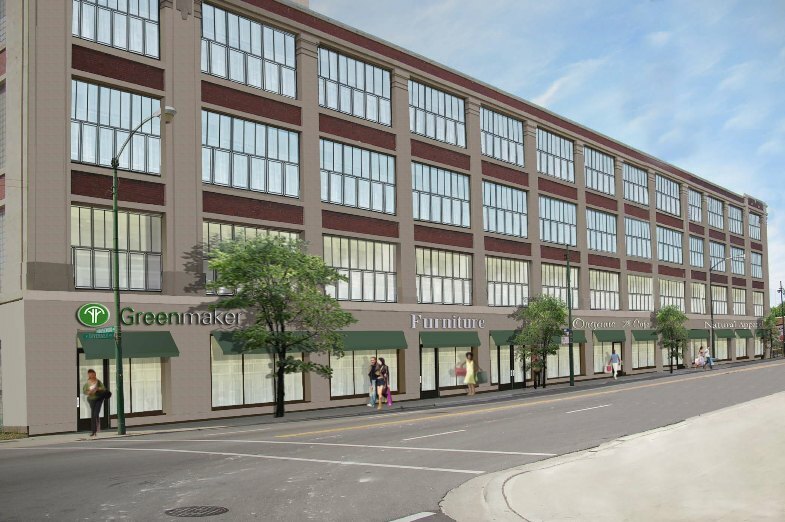 The announcement of the new leases comes as developer Freed fights a move by lead lender Bank of America to put the retail and transit project at 108 N. State Street. into receivership less than a month before the mall’s first shops were set to open. The new tenants — which include Sephora, Michelle Tan and Comic Vault — are a mix of chains and local shops aimed at satisfying the city’s redevelopment agreement to put unique retail in the famous city block. The banks filed a foreclosure suit last month, claiming that Freed essentially ran out of money to complete construction. .
Sephora, the beauty chain owned by Paris-based LVMH Moet Hennessy Louis Vuitton, will open a 6,000 square foot store on the first floor of the four-story indoor mall with access onto State Street. L’Occitane en Provence, a body care products chain, will occupy 750 square feet on the first floor. Michelle Tan, a local women’s clothing designer, agreed to lease 650 square feet on the second level…. 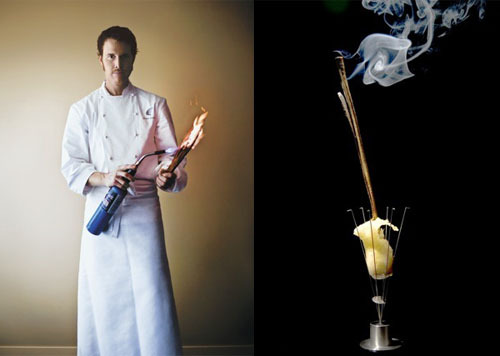 Check out the full Chicago Tribune article by clicking HERE! This is great news for the retailers getting ready for the Christmas shopping season and there’s even more information on the new stores going into Block 37 in the article!